Over medium-low heat, melt the vegan butter in a thick-bottomed stainless steel or cast iron pan. Add the sliced onions and cook for 10 minutes to soften. Add a pinch of salt and the sugar, then reduce the heat and continue to cook the onions for 30 minutes to one hour until they are deep amber in color and caramelized. Stir them often enough so that they don’t burn, but not so much that they won’t brown. Finish off with the balsamic vinegar, thyme, and garlic. Cook for an additional 3 minutes and set aside. Add vegan mayonnaise, garlic, lemon juice, and sea salt to a blender or food processor. Process until smooth. Scrape down the sides and then added as much water as needed. Blend and repeat until desired consistency is reached. Refrigerate in an airtight container until ready to use. Vegan aioli will last up to seven days in the refrigerator. 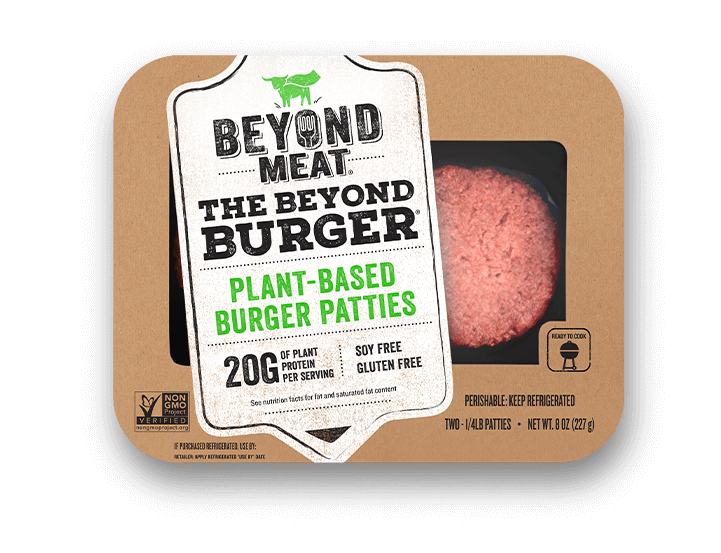 Cook Beyond Burger according to package instructions. 2-3 minutes before patty is finished cooking add a slice of Daiya smoked gouda cheese and allow it to melt. Toast ciabatta buns for 2-3 minutes. 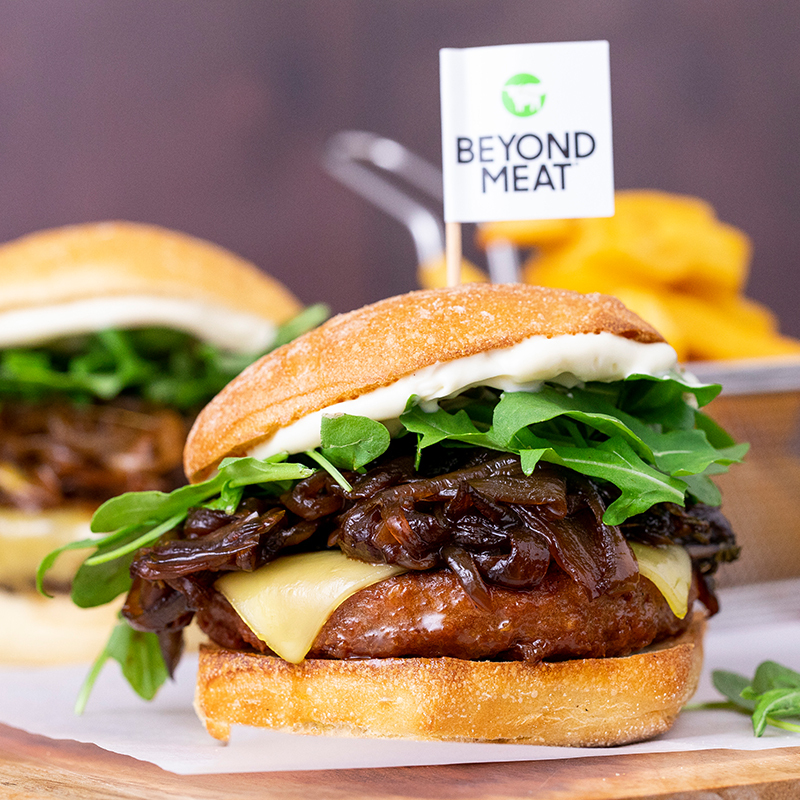 Top with beyond burger patty followed by caramelized onions, fresh arugula. Spread garlic aioli on top ciabatta half and enjoy!